Hello and Welcome one and all to the thread that probably should have existed for a lot longer! This thread is meant to initiate a conversation on the formation of the International District and the League of the Western Isles, and to lay the potential groundwork for future RPs involving either. So feel free to come in, throw your suggestions into the ring, and debate them with the other members of the region. Please keep things civil and orderly so that this project can be productive for all the people involved. I will start by using this OP as a platform for my suggestions. The International District: As originally suggested in the International District Dispatch, but removed for the sake of this thread, I believe that "The City" should be given a name aside simply "The City". Whatever that name will eventually be is a matter for this discussion but I still believe it is necessary to add character to the International District by giving it a name and a wider history. 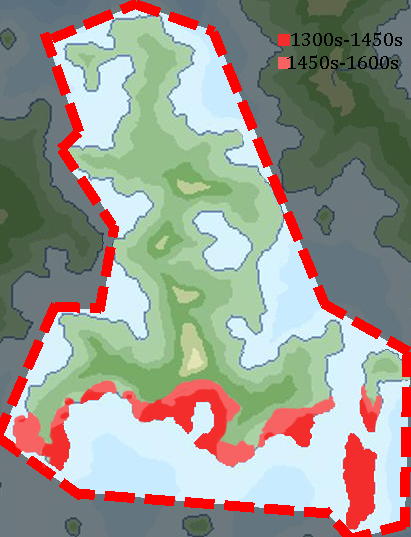 Speaking of History, I believe that there might be worth to Vancouvia's idea that the island was mostly anarchic throughout its history, with most of the powers in the area vying over control but unable to secure it, other elements will step in and fill the power vacuum. However, I do not believe that the International District will become famous for diplomacy if this was the case at all time, and as the Dispatch currently reads, I believe that the criminal element in "The City" comes to realize that stability is more useful for their ends rather than the history of the island so far, and assumes control of the the city-state of "The City" and builds their underground empires, all while encouraging trade and diplomacy on the surface. Now there have been suggestions that the island be involved during the Imperial War, while that might be a logical course to take I don't believe the Imperial War should be involved until the current participants of the Imperial War generally agree that the ID would be involved in some way. Now if anybody had read the original text of the Dispatch, before I was shown my ignorance to the Council, I originally suggested that the Council was composed of representatives from the Free Powers, and other states, in a similar manner to the structure of the UN Security Council. I believed that making the Council this way would promote more people to be involved in the ID, but that's probably not meant to be. Whether or not something like this should be implemented in some other fashion is why this thread exists. The League of the Western Isles: I'll come out and say it, I do not like that the League was founded in 2015, and in an RP where most of the original participants (including the OP) have long since CTEd. Tying League history to those that do not exist is stupid in my opinion and puts extreme limits on how people will view the League and its history. I have seen a fair amount of suggestions that the League's history be extended to the 20th century, and I agree with that completely, there should be a history of the League (or a precursor organization) that establishes the precedent for the modern League and creates the international laws that the current League hasn't managed to bother with. However, I will propose this as a compromise. Since the International District has a history of instability, even in my suggested history things wouldn't be entirely stable what with crime lords fighting over control of the very city that the League is now in. I would like to suggest, instead, that the League was founded at some point earlier (in the wake of the Imperial War is an obvious choice, but other options exist) but was based elsewhere in the Isles, likely in another nation or two. By the time 2015 comes around, after a few instances of tension between the League host and other members in prior years, the League makes an agreement with the newly established Council of the International District to move its base to the International District, easing tensions between the various members and establishing the modern location for the League. If you still want to tie old RPs to it, I can suggest that the Summit in Tuernia was the very summit where the League drafted the resolution to officially move its headquarters to the International District. I like that compromise a lot. Proud Member of The Western Isles, the Best RP region on NS. So did you not give up now? Should I not write a dispatch this weekend? Vancouvia wrote: So did you not give up now? Should I not write a dispatch this weekend? I reposted the dispatch just before I launched this thread. I am not giving up on something I already spent time working on, and I am dedicated to doing good by TWI with this. So with the way ID is heading, i take it if things escelate nations will demand moving the league to different location? Dormill and Stiura wrote: Since the International District has a history of instability, even in my suggested history things wouldn't be entirely stable what with crime lords fighting over control of the very city that the League is now in. I get that this is a minor detail in establishing the ID's history but could we use the Sindicato Aristocrático to be or partially be these referenced crime lords? The name "New Totzka" is similar to saying The Ukraine. New Totzka can be used informally to refer to the country post 1979. Aruia wrote: So with the way ID is heading, i take it if things escelate nations will demand moving the league to different location? It could be possible to advocate for another change in location, if this history is accepted. Whether or not it will actually happen is something that needs to be discussed separately. I won't object to having them be involved in the ID. Bringing it in would certainly go a long way for establishing the criminal history of the ID. The I.D. has historically been an quasi-anarchic state since its first populations arrived on its shores from Gael and Argus in the Bronze Age. Commonly known as Middides for its central location, the islands grew as an important trading hub during the Medieval Ages, as its location between the two sub-continents enabled a sort of quasi-independent status where traders could sell their goods without being taxed by kingdoms on either side of the straits. These kingdoms were generally reluctant to invade, realizing the value of a large, profitable locale to purchase and sell exotic goods from all corners of the Western Isles, and thus a de facto neutrality existed for centuries. During the late Medieval Ages, a handful of half-hearted invasions from various powers were repelled by the merchants on the island, who were almost always assisted by volunteers and mercenaries from opposing empires in an effort to keep the Middides free. During the 16th, 17th, and 18th centuries, a series of pirate captains made the Middides their base of operations, taking advantage of the neutral status and easy access to sell their plunder. Although existing in relative harmony with the neighboring nations for decades, the actions of the pirates, who increasingly scavenged and hunted close to the Middides' shores, eventually brought a force to repel them from the island. This alliance, known as the 1740 Coalition, consisting of armies and navies from a variety of nations including the Stiuran Republic, Polar Svalbard, Y nation, Z nation, and Vaenland mercenaries eventually blockaded, starved, and massacred the pirate outlaws in one of the bloodiest wars of the century, thus significantly contributing to the end of the Golden Age of Piracy. The Coalition attempted to restore order with an agreement of rotating occupation, and renamed the Middides the International Island (and later colloquially the International District), but as the years passed and casualties mounted from a major guerilla effort by the remaining pirates, traders, and prisoners, nations began to pull out of the agreement. The I.D. gradually returned to its lawless state, but grew even more nefarious than before, becoming infamous as one of the few locations in the Western Isles where slavery was still legal. Slavery was its dominant "industry" for almost a century until demand decreased, and the I.D. grew a reputation as a morally corrupt backwater, where only criminals and missionaries braved to visit. This changed in the early 20th century, when the rise of organized crime brought at least some semblance of order, with each syndicate establishing relatively steady control of blocks of the City in the middle of the largest island. This incentivized many companies and industries to expand on the I.D., preferring the lesser protection money to the higher taxes they would have paid in their home countries. The I.D. remained relatively anarchic, but the gangs had gone so far as to create separate police and firemen brigades to establish a degree of stability. In this wake, many international organizations chose to establish their headquarters in the I.D., being promised security and neutrality by the ruling oligarchical mafia leaders, which was almost always upheld. Foremost amongst them, The League of the Western Isles was founded in the 21st century in order to provide a forum for all nations to resolve international disputes. In 2015, a new Coalition formed, somewhat mirroring the one from almost 300 years prior, with the goal of finally stamping out the rampant corruption and lawlessness that had continued to thrive, determined to have a safe and secure area for the League and other international organizations to operate. This group, which included forces from Vancouvia, Miklania, Ostehaar, and Nation X, Y, and Z [feel free to add involvement in the operation for nations who weren't in TWI at this time], fought against an ad-hoc alliance of organized criminals, mercenaries, anarchists, and black market dealers who conducted vicious guerilla attacks on the Coalition forces in both the urban environment and the forests at both ends of the island. By the start of 2016, thanks to widespread and somewhat nondiscriminatory anti-terrorism strikes, order was restored enough for an official government to be created. With heavy Vancouvian influence and pressure, a five-person elected Council was formed, an Island Guard was erected and began to be trained, and taxation was enforced upon the populace for the first time in history. Gradually, Coalition forces withdrew from the island as the Island Guard took over for security operations. Significant Vancouvian forces remained, helping to train the Guard and assisting in anti-terrorism operations, operating out of Camp Plymouth in the southeast corner of the island. In 2017, Noronnican forces constructed a neighboring sister base on the island to assist in the reconstruction and anti-terrorism operations. Although nowhere near their previous influence, organized crime has continued to have a significant hold on the City, and a black market continues to thrive. In late 2018, the I.D. Council and the Vancouvian Congress signed a VACES agreement, signaling continued Vancouvian influence on the island's affairs. Last edited by Vancouvia on Wed Dec 19, 2018 7:50 pm, edited 3 times in total. This history you suggested Van, is good with me. As I mentioned in private, the two points of note is that the 1740 Coalition would have the Stiuraian Republic as a member, the United Republics wouldn't form for about another 35 years. Secondly, I don't think giving the island its modern name in the wake of the 1740 Coalition is going to fit well with the time period. I'd expect it to continue to have contested names until international entities get involved, and eventually call it the International District. I like this a lot. My nation can't historically really do anything (I never liked trying to be a huge influential power), but I like this from a historical perspective. It's a unique but plausible and realistic scenario given a certain factors (like multiple empires trying to maintain a balance of power) that really gives me Witcher 3 vibes. And also, since I am right next door, I would really like to have multiple failed invasions thwarted each time by elite mercs (maybe even some bloodthirsty maniacs from my own realm who joined the Vaen Guard with hopes of earning the Hang title) employed by the merchants. Also, could I have joined the 2015 Coalition? Last edited by Athara Magarat on Thu Dec 20, 2018 1:47 am, edited 1 time in total. Proud Member of the The Western Isles. Keomora - It's so goddamn diverse. Tastreira - I get a Nepal/Tibet/Mongolian vibe from it. Covonant - It's a different unique concept which is nice to have. I love that in TWI is not just Western modeled states but states of different cultures and ideologies which makes the RP more interesting. Polar Svalbard - 8/10 would bang. Before idiotically calling me out for having a so-called Nazi symbol in my flag, I recommend you ACTUALLY read my dispatches. Dormill and Stiura wrote: This history you suggested Van, is good with me. As I mentioned in private, the two points of note is that the 1740 Coalition would have the Stiuraian Republic as a member, the United Republics wouldn't form for about another 35 years. Last edited by Athara Magarat on Thu Dec 20, 2018 1:50 am, edited 1 time in total. Could the EEI and the GPR have been part of both Coalitions? The threat of the pirates raiding the straits would garner the same reaction as Athara Magarat's current blockade. A major part of the Tensin Trail passed through those straits, not to mention the existence of Unovi and Yitoria. I very much like the look of what has been suggested so far and alongside Polar, Razzgriz and Dormill I'd like to be involved in the Coalition of 1740. Thuzbekistan, 1740 is six years after Turvin folds under the Noronnican Empire, perhaps through the empire, Turvin could be involved in this? I.e. colonial Turvin troops and ships rather than (domestic) Noronica's so as to limit the overuse of Noronnican troops overseas. Last edited by Noronica on Thu Dec 20, 2018 10:58 am, edited 2 times in total. is it possible that in the 1740 would export food supply to the coalition ? I'd like to join the Coalition as well, but I need to wait a bit before saying I will. I need to wait for talk with San Montagna on some crusades first, but we're almost done I think. On another thing.I'm beginning on the makings of a little trade empire like the Venetian Stato da Mar called the Dimen Velum li. It would begin in the 1300s and last until the mid-1600s. This is important because I planned to have it reach into the ID and be one of my longest-lasting holdings before this thread came up but yeah. The held territory and timespan can very much change. I don't need it to be long or large at all, and the holdings are mostly settlements and cities under 'trade protection' around the southern coasts. Note that the Toromans around this time are very different from modern day ones. These Toromans were pagan and had little in the way of Western influence unlike modern Torom which is pretty Italian-influenced by this point(and Catholic). So what do y'all think? With Vancouvia now taking over the duties of the Dispatch, I believe that we have all agreed on the history of the ID, which is awesome. However, the history of the League still bothers me, so I'd like to focus on that for the remainder of the current discussion on this thread, I'll repost my suggested history for the League in case it was missed in the OP. Since the International District has a history of instability, even in the face of the crime lords that brought some amount of control over the City, the League was not founded in the International District, but instead in X Nation, which hosted the first Assemblies of the League in its early years. However, after accusations of corruption of the League by the hosting state, the League adopts a resolution that every so often, it would move the location of the assembly to a new host, to avoid future tensions between nations. This settlement remains in place for several more years, by the time 2015 comes around, the League makes an agreement with the newly established Council of the International District to move its Assembly permanently to the International District, easing tensions between the various members and establishing the modern location for the League. In Tuernia, the 2015 Assembly of the League drafted the resolution to officially move its headquarters to the International District, where it remains to this day. I did support Torom. Much of peace treaties were made there and they have a reputation for being neutral when their neughbors were duking it out.